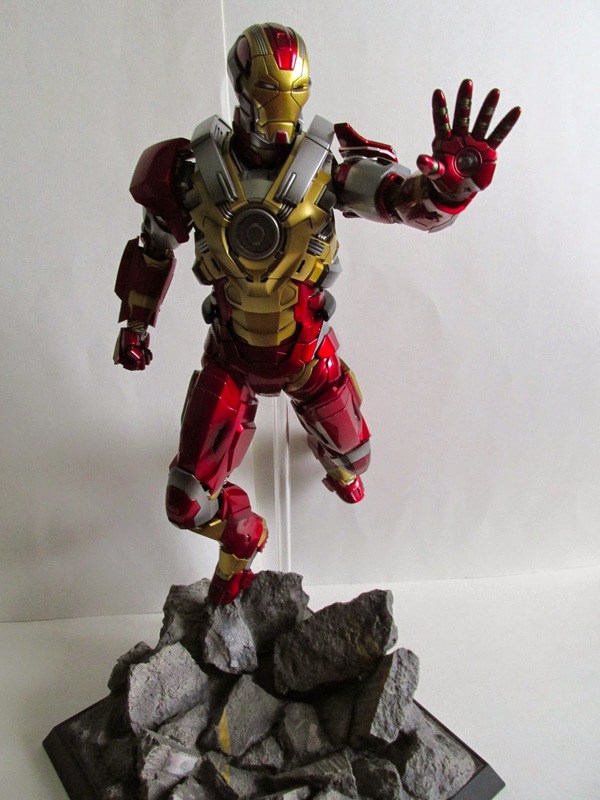 Iron Man 3 seems to be the go to cash cow for Hot Toys. If they are making all 42 armors then we still have a ways to go before all of them are released. 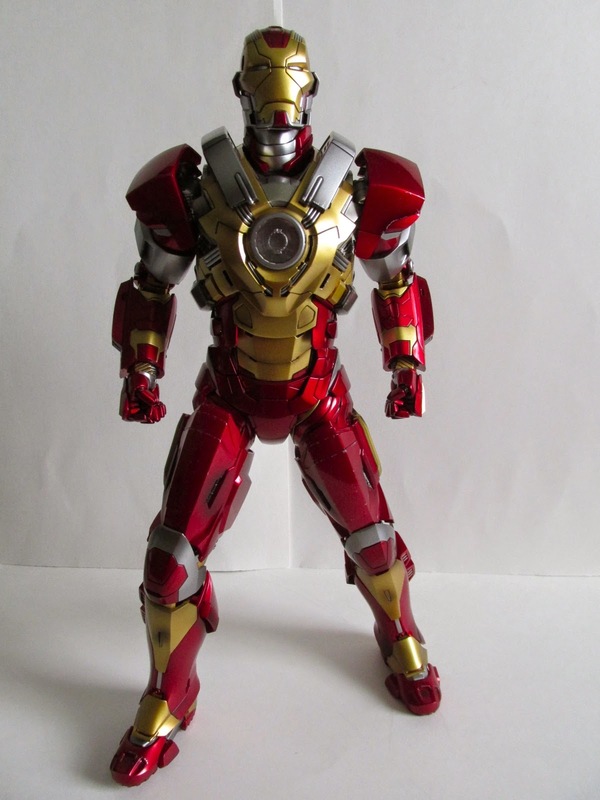 This time around we have the latest release with the mark XVII Heartbreaker. 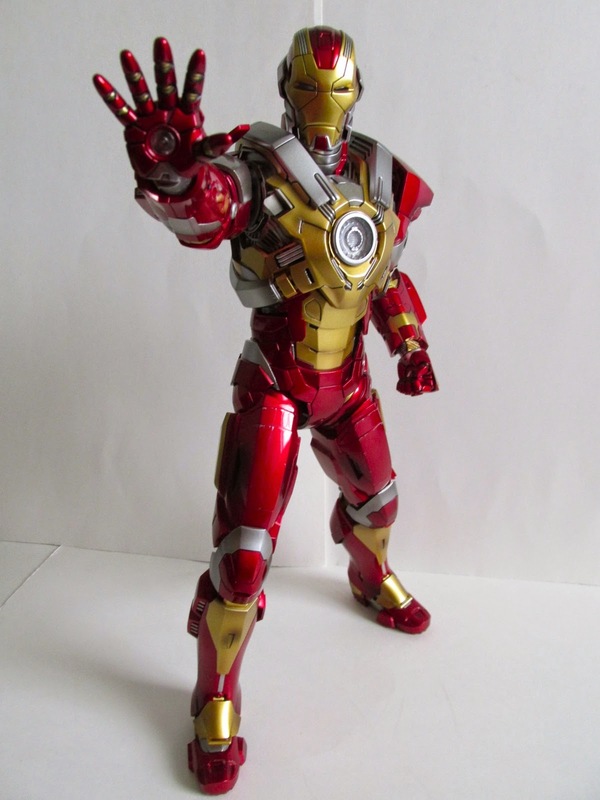 On first glance, this appears to be another Iron Man armor, however, this is quite an impressive figure in person. 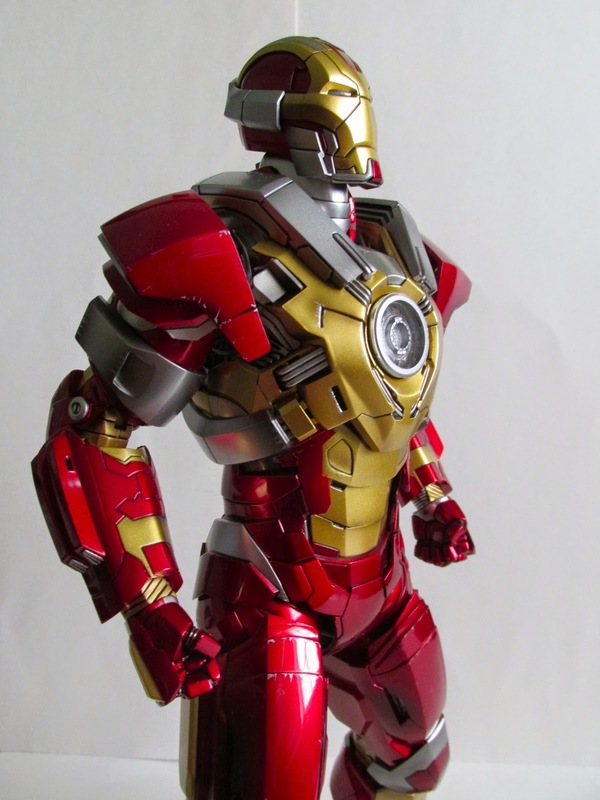 This clearly is inspired by the ultimate Iron Man seen in The Ultimates especially with the helmet and arc reactor design. The armor design is much more elaborate than previous releases and has a samurai like armor appearance because of its many armored plates throughout. 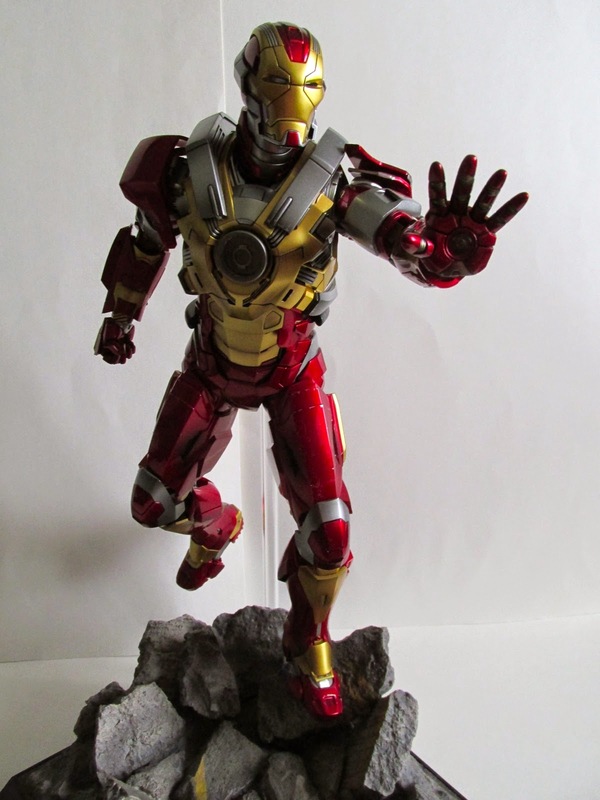 In person, this armor really stands out among other Iron Man releases mostly because of the fine detail Hot Toys is known for. Hot Toys has done a great job detailing this armor all the way down to the scratches and worn look of the armor. The chest piece is also another fine piece of work and adds to the sheer complex look of the armor. One thing to look out for though are the shoulder pieces. Thankfully, they are on hinges so they can move, but you still need to be careful you don't scratch the shoulder pads against the torso of the body. When moving the arms, just carefully watch that the shoulder pads are not blocking the arms from moving. Accessories wise he doesn't come with much. 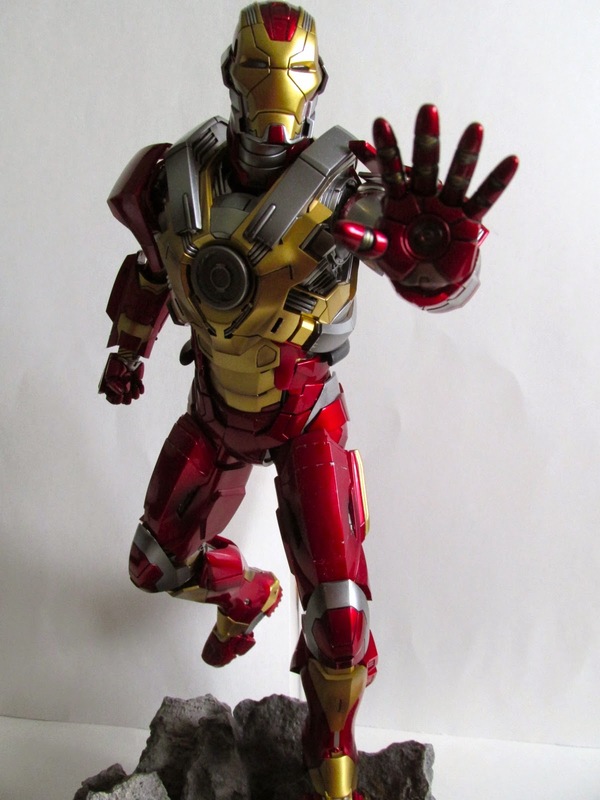 He comes with closed fists, hands with articulated fingers, repulsor hands, the standard Iron Man 3 base with dynamic rod, and batteries. As usual the stand does not light up and the batteries are thankfully not installed. Other than that, he has no other accessories. For the price point and lack of notable accessories, one would think this is over priced. My opinion though is you are buying this because of the sculpting and just cool armor design, not so much for any special accessories. 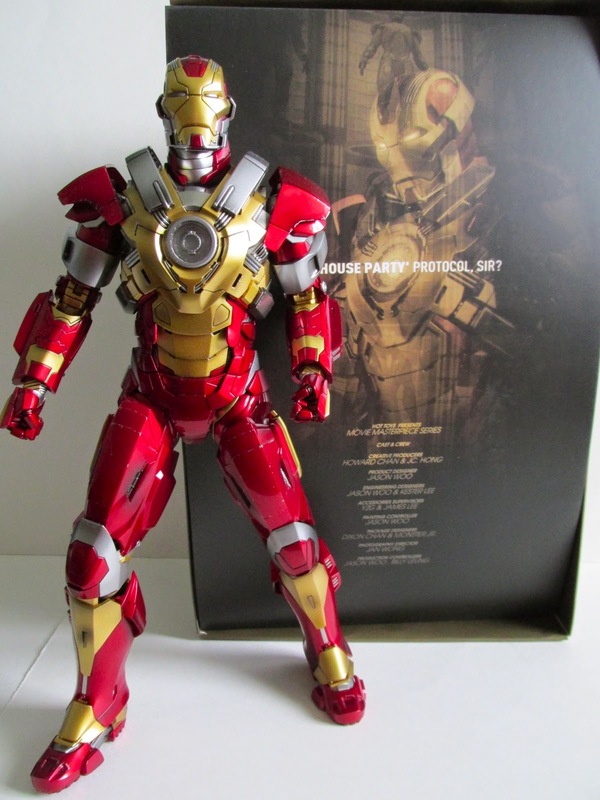 Clearly, this is for the die hard Iron Man fan and for those looking to recreate Tony Stark's Iron Legion of 42 armors. 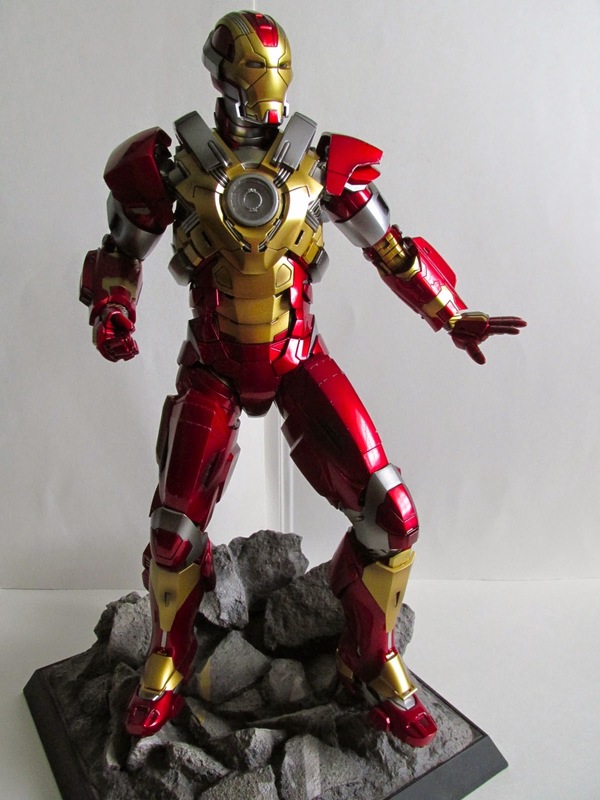 I am happy with this release and pleased to add this to my collection of the ever growing Iron Man armors. Heartbreaker is waiting for deployment. Order Here!